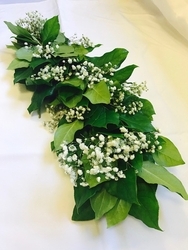 This garland is created using fresh Salal foliage along with accents of Baby's Breath. This combination gives you the simplicity of our Classic Salal Garland with an added touch of soft white flowers. 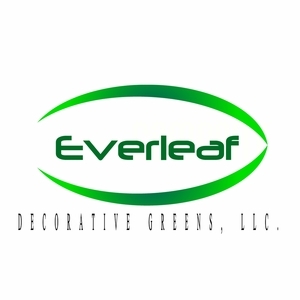 This simple garland brings a natural and bright look to any wedding or event. This item will stay fresh for approximately 4-5 days, depending on care and climate.